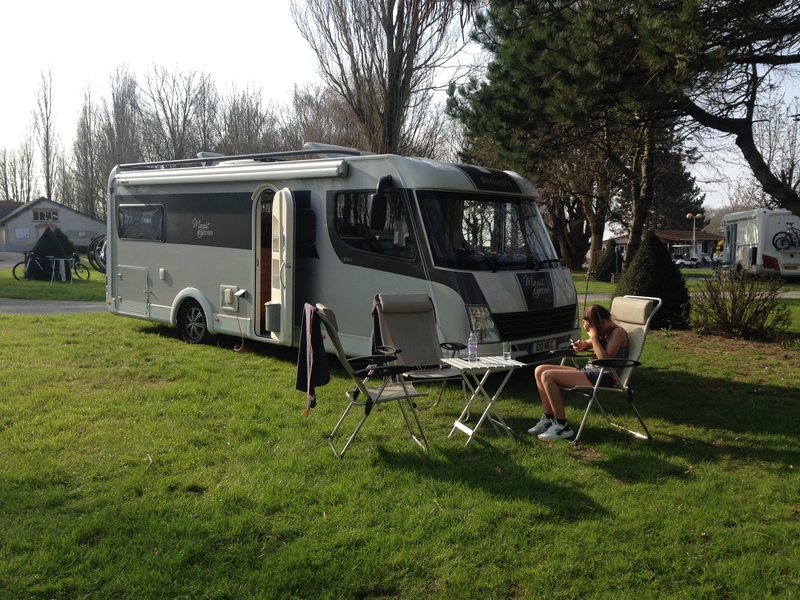 2nd April 2015 – We arrived in France early in the morning on our Easter Motorhome Holiday after an early Eurotunnel crossing. 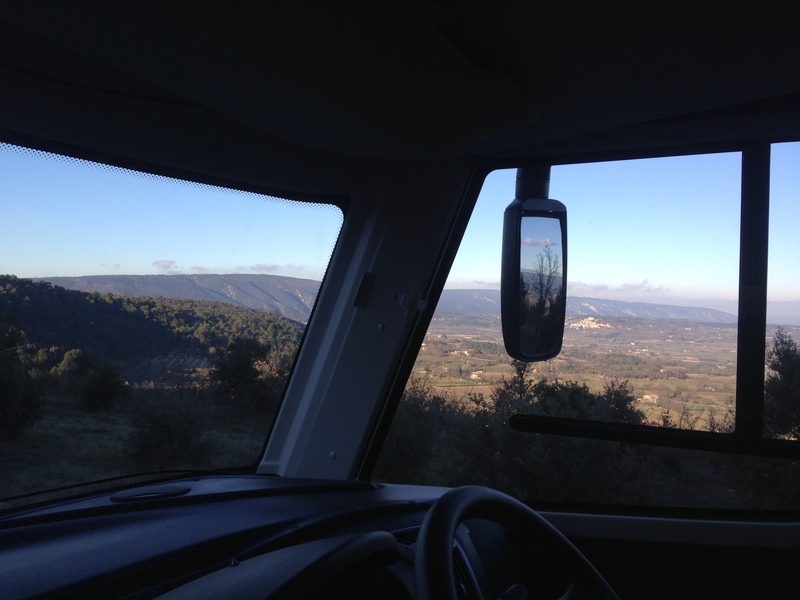 We are heading South down to Provence. 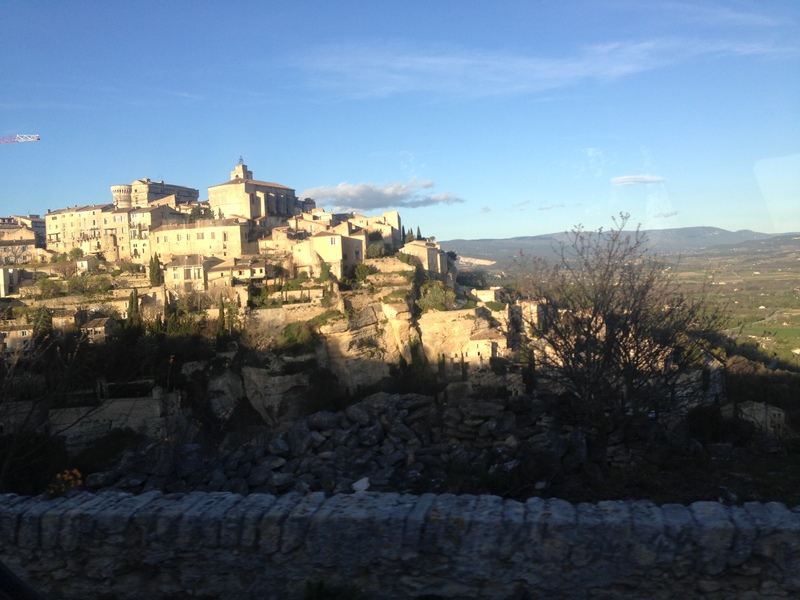 We stumbled across the town of Gordes, one of the most beautiful towns in France. The town is built on a hilltop like Roussillon. We had a very ‘interesting’ time driving through the town when we took the wrong turning. The streets are rather narrow but it’s all part of the adventure! 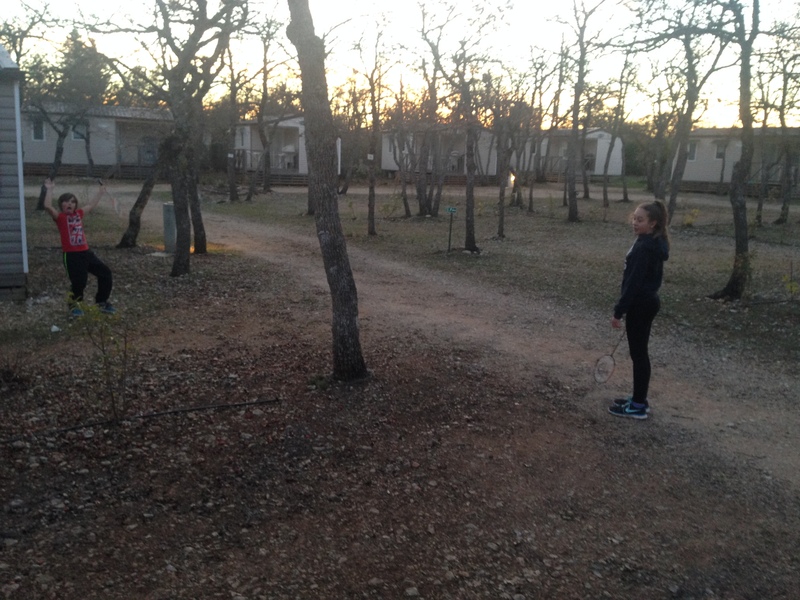 Therefore, we arrived at our campsite as the sun was setting. First of all, the beautiful town of Gordes. The above picture is Domaine les Chenes Blanc, Provence. As mentioned earlier, we arrived after a long day travelling just as the sun was setting. The site was almost empty as it was right at the beginning of the holiday season. It is a lovely site with a very rustic feeling. 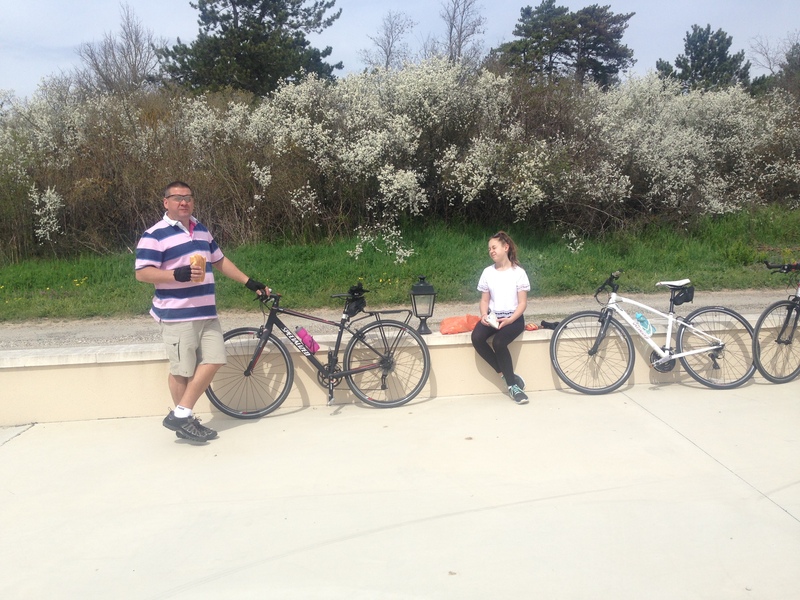 3rd April 2015 – We are feeling energetic today so the bikes are off the back of the motorhome and we are off on a bike ride! We’ve just got back to the site after a lovely sunny bike ride that we found. 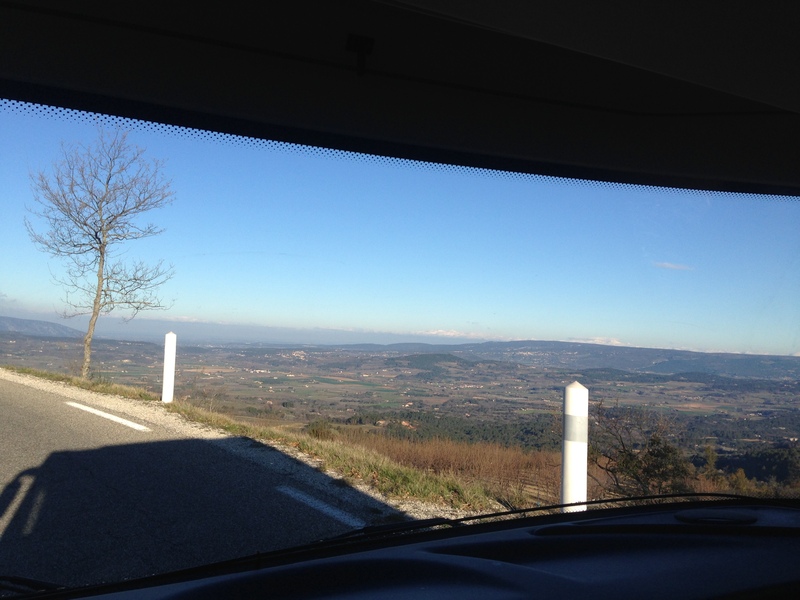 It is also part of the Le Luberon route. 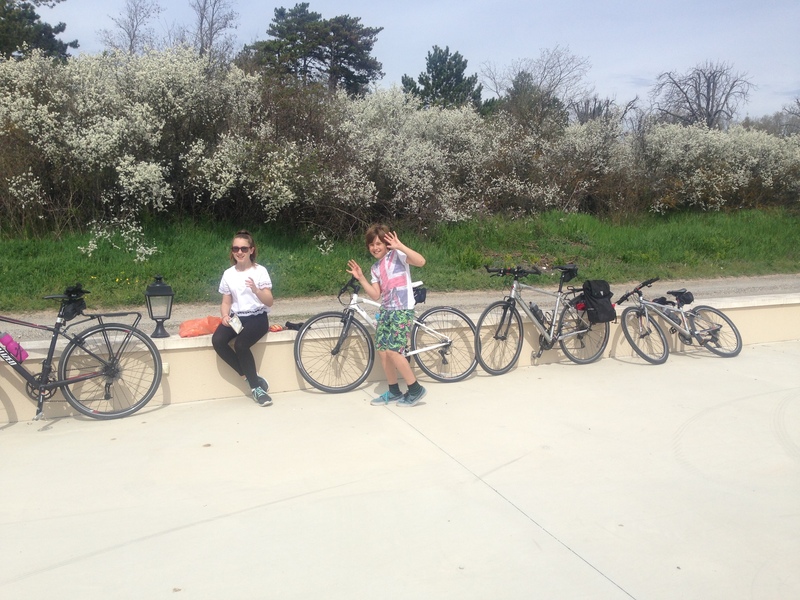 We cycled Le Veloroute Calavan, which took us through beautiful countryside. Everyone on the cycle path said a cheery ‘bonjour’ and it was a thoroughly enjoyable day! Visiting Provence is like stepping back in time and there is a wonderful relaxed pace of life. We arrived back at the campsite for an early evening BBQ. Bike ride on Le Luberon, Veloroute Calavan. 4th April 2015 – Today we have woken up to glorious sunshine again! We are planning to cycle to Chateauneuf Du Pape. The cycle ride today was beautiful, although not quite as easy and relaxing as yesterday. It was rather hilly shall we say! We arrived in Chateauneuf Du Pape after cycling a killer hill. And, we even got a clap from a passer by when we reached the top! We parked our bikes up and headed off to find ice creams and a bottle or two of wine for later. 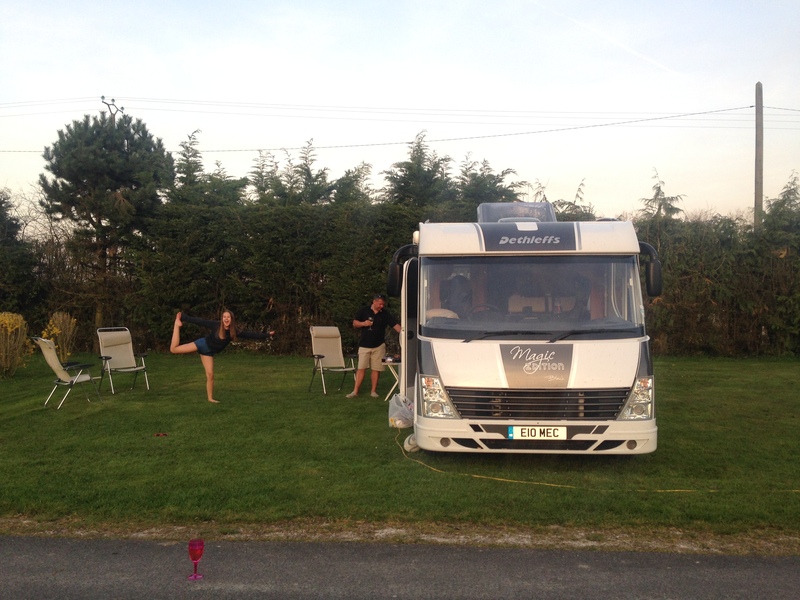 Once again, we arrived back at site for a BBQ and a few glasses of our wine from Chateauneuf Du Pape. 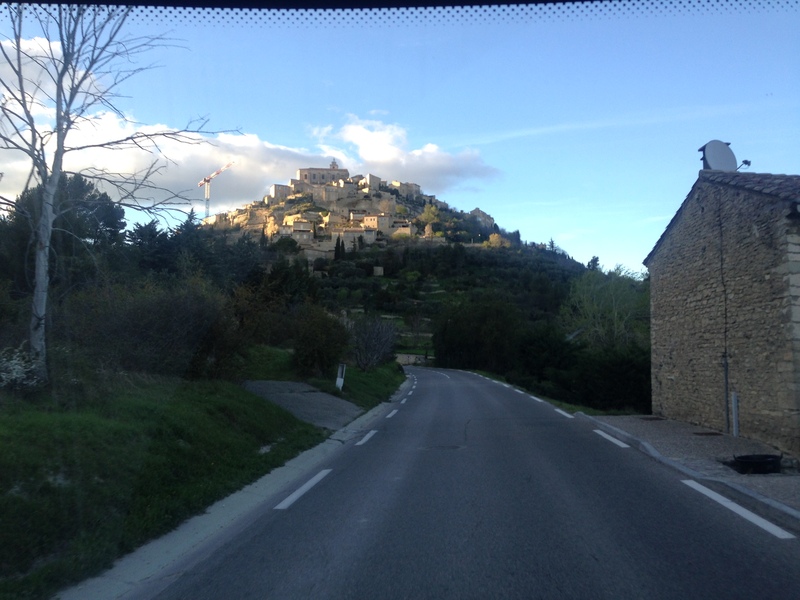 Above are photos of the cycle ride to and from Chateauneuf Du Pape. 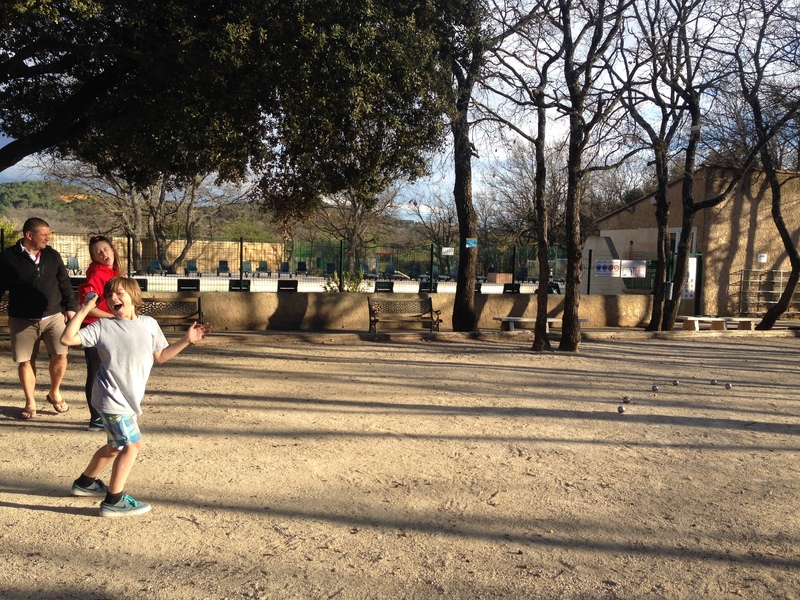 A game of boules before our BBQ. 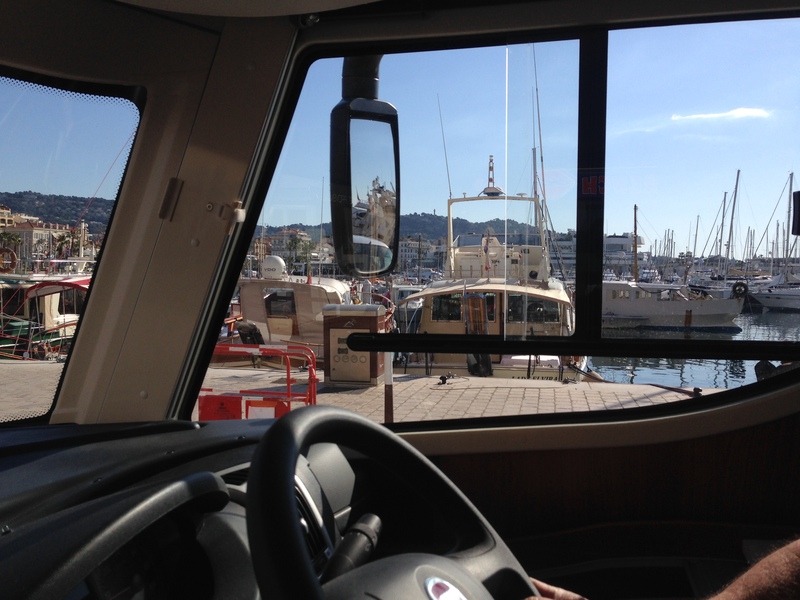 5th April 2015 – We are up early today and on our way to the South of France. While, the scenery along the way was beautiful we appreciated the journey! 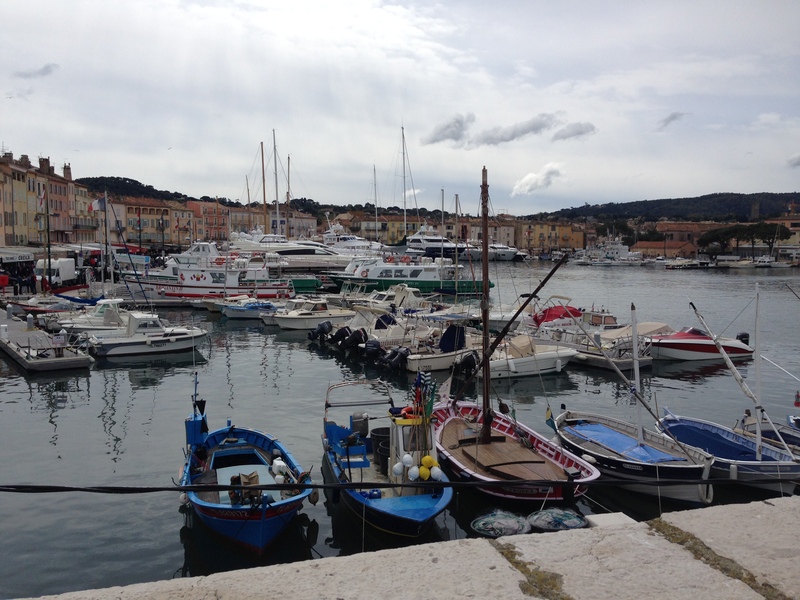 5th April 2015 continued – Our first stop today is St Tropez, quite a contrast from rural Provence. It had a very upmarket feel. We enjoyed a nice walk around after cycling in. We parked just outside St Tropez. The kids found a lovely sweet shop in the centre so they were more than happy and they also enjoyed a slush drink. It is a lovely place to visit and walk around for a few hours or sit and relax and watch the world go by. Easter seems a good time to visit as it is not crowded. We also visited Port Grimaud today in the early evening. 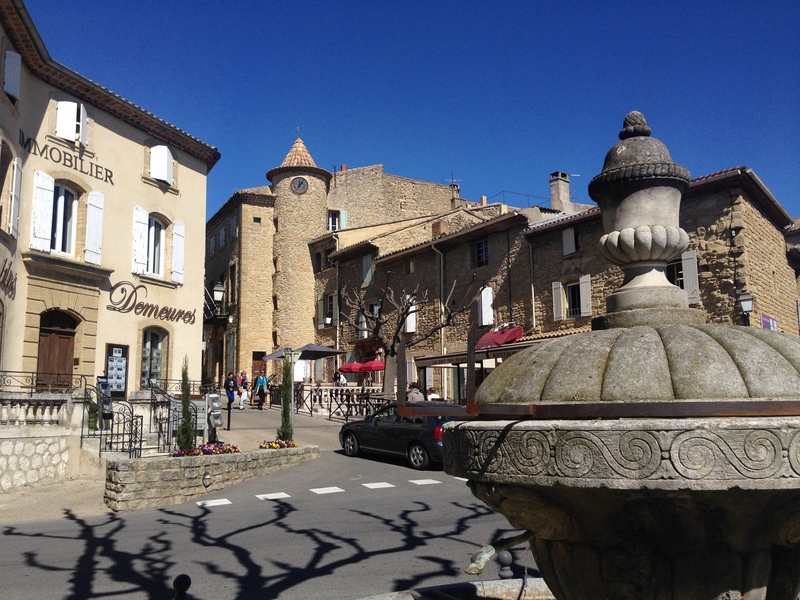 Just as I fell in love with Provence, my husband fell in love with this place. There are beautiful houses, apartments and restaurants all situated right on the water’s edge. Very impressive. 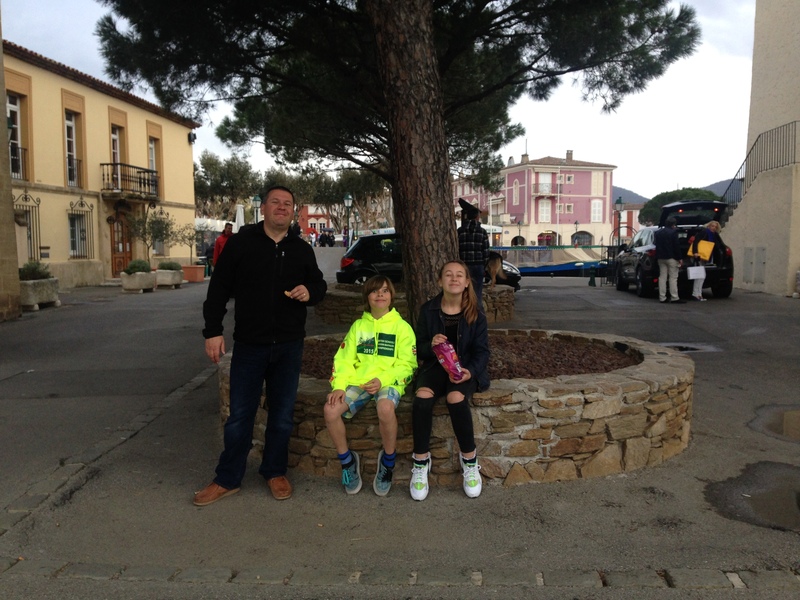 5th April continued – After our visit to Port Grimaud, we stopped for an evening meal before heading back on foot to our campsite. It was nice not to cook just for one night! Our campsite near Port Grimaud was a stunning site with our own private bathroom, Holiday Marina Resort. We will definitely go back. It was real luxury camping and a short walk in to Port Grimaud. There is a nice flat cycle path just outside the site too that we highly recommend! 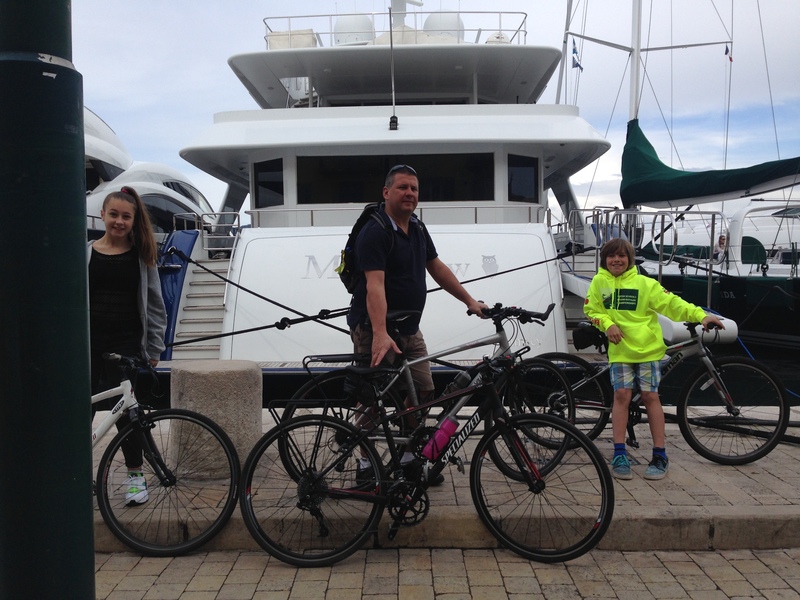 6th April – We have decided to cycle to Frejus. The weather is very warm today. 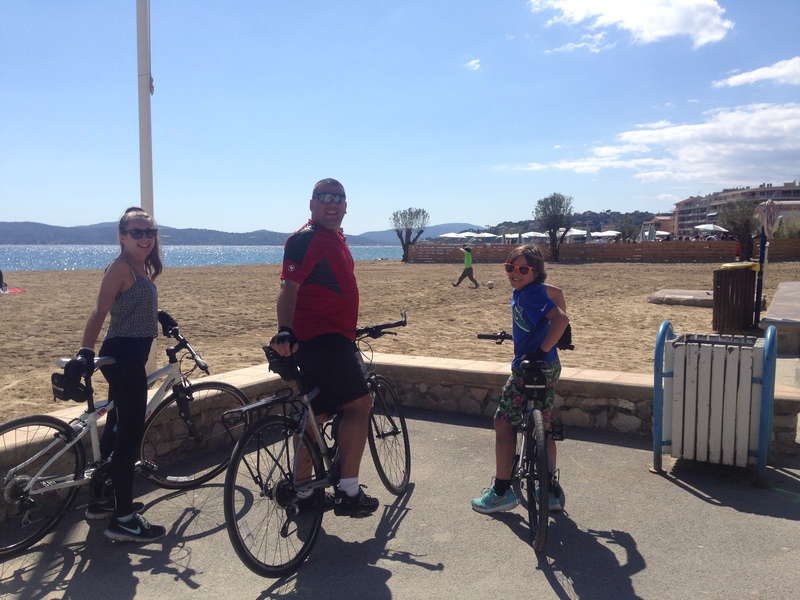 We cycled in to Frejus from our campsite near Port Grimaud. The cycle path follows the coast all the way. 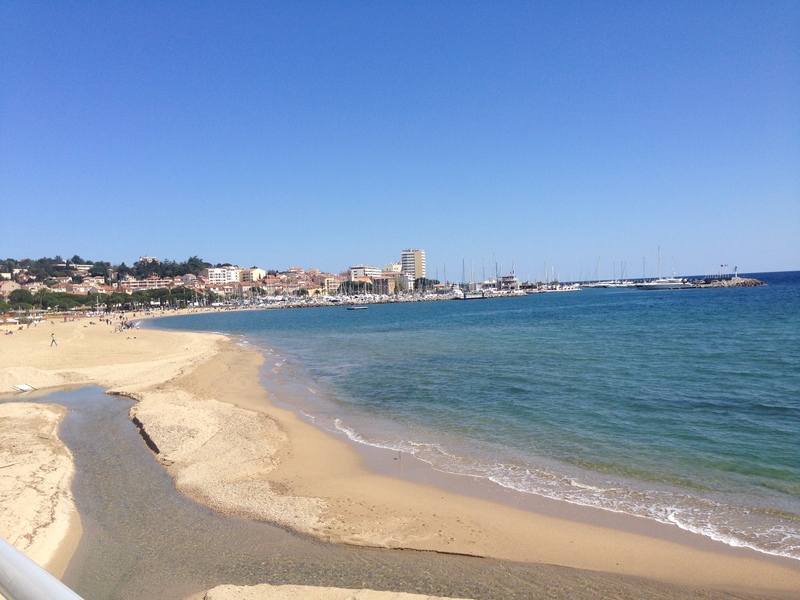 Frejus is lovely and well worth visiting. We didn’t stay that long but had a little look around and had some lunch before cycling back and checking out the campsite pool. 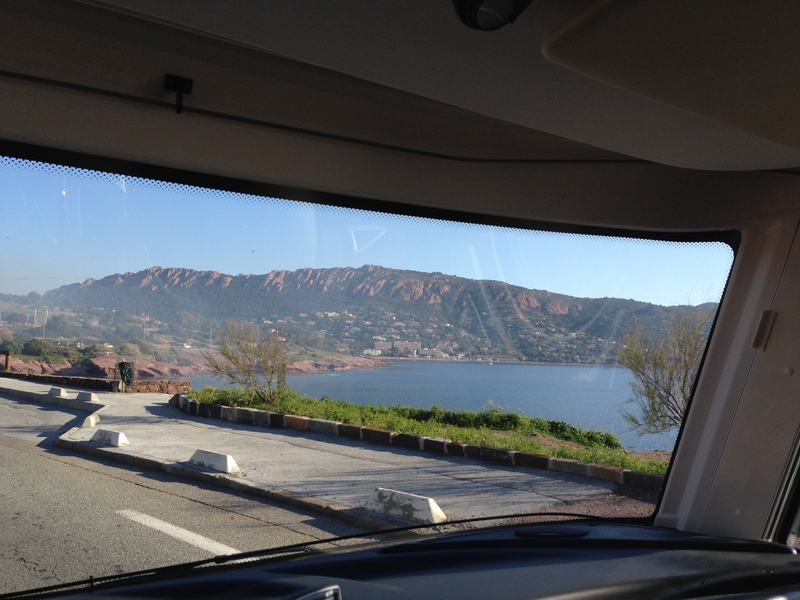 7th April 2015 – We are up and on the road early today, heading along the coast road to Cannes. 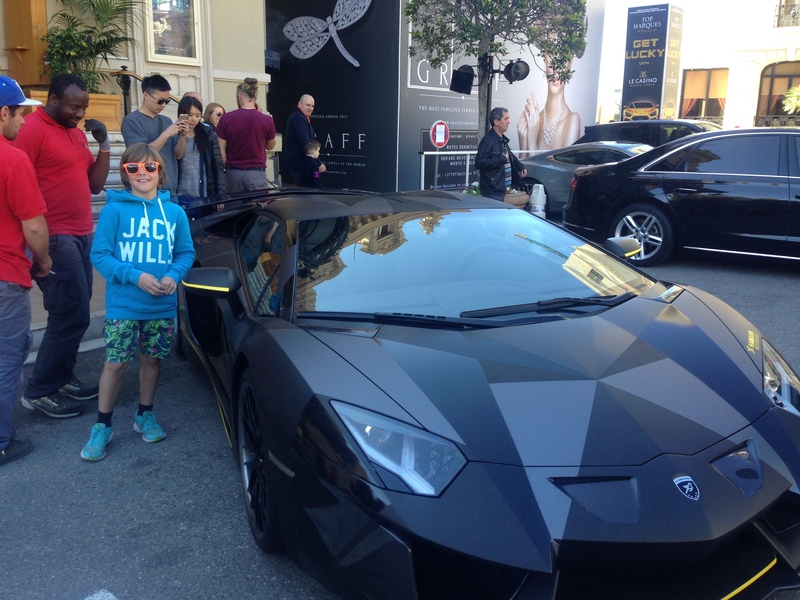 We didn’t park up in Cannes as we were eager to get to our campsite and relax. Definitely, we will go another time as it looked absolutely amazing when we drove through. The shops looked particularly impressive. 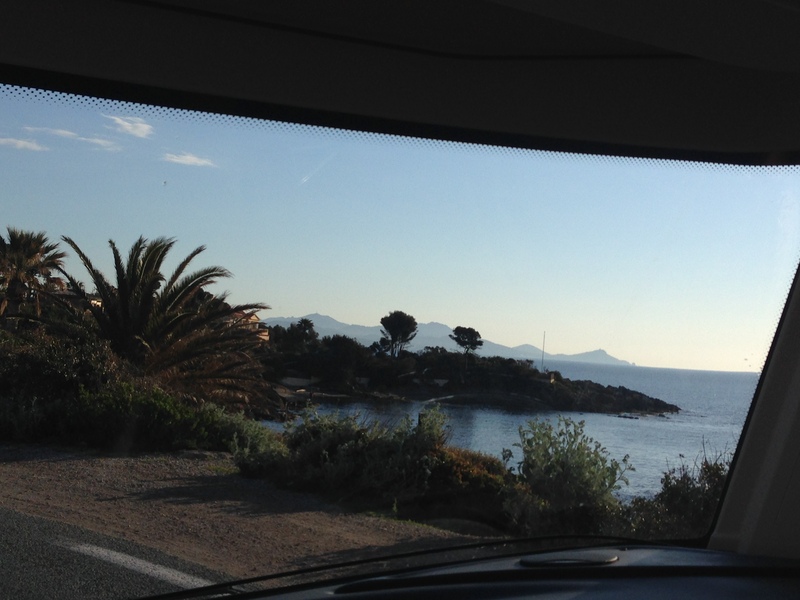 The drive from our previous campsite near Port Grimaud was stunning. Following the coast road the whole way took a fair bit of time but the view was well worth it. I’m sure you will agree when you see the photos below. 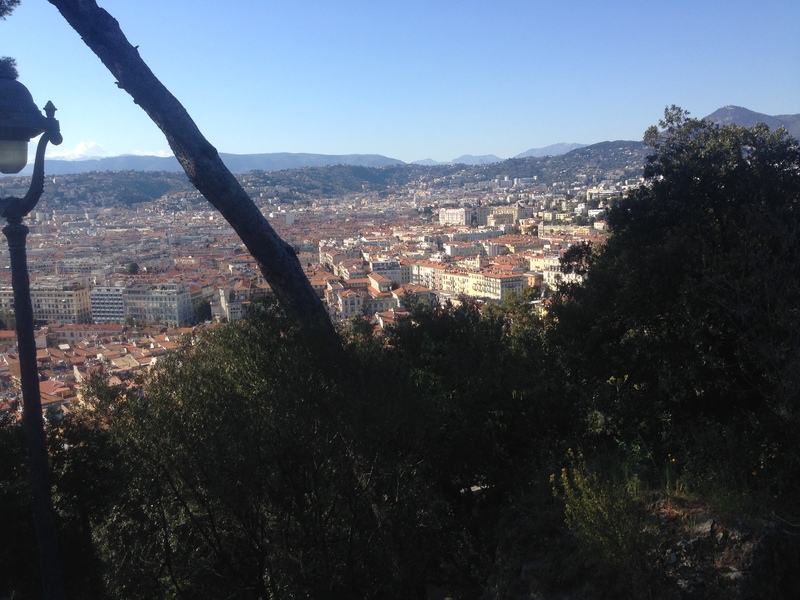 7th April continued – After passing through Cannes, we travelled to a site near Nice. Again, the views along the way were stunning. Below are a few photos to be enjoyed. While, my personal favourite was the snow capped mountains. 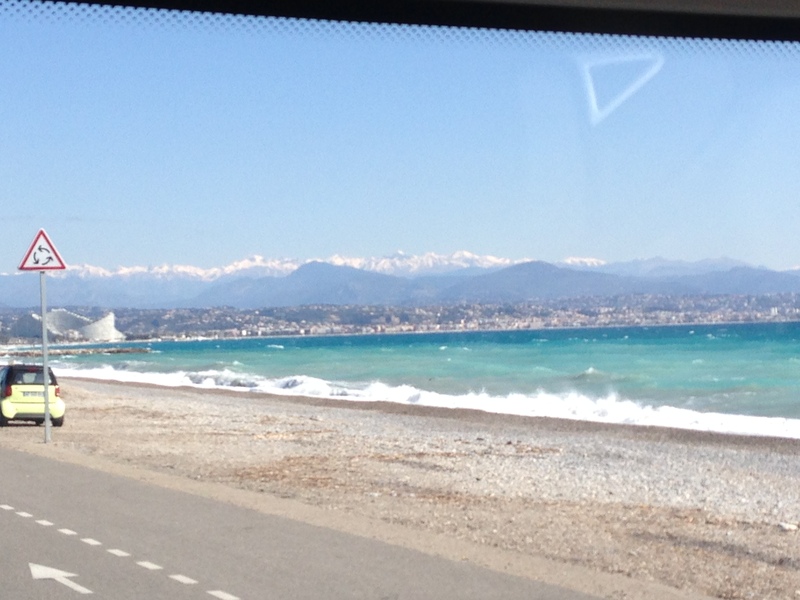 We found a lovely site that was a bus journey away from Nice. 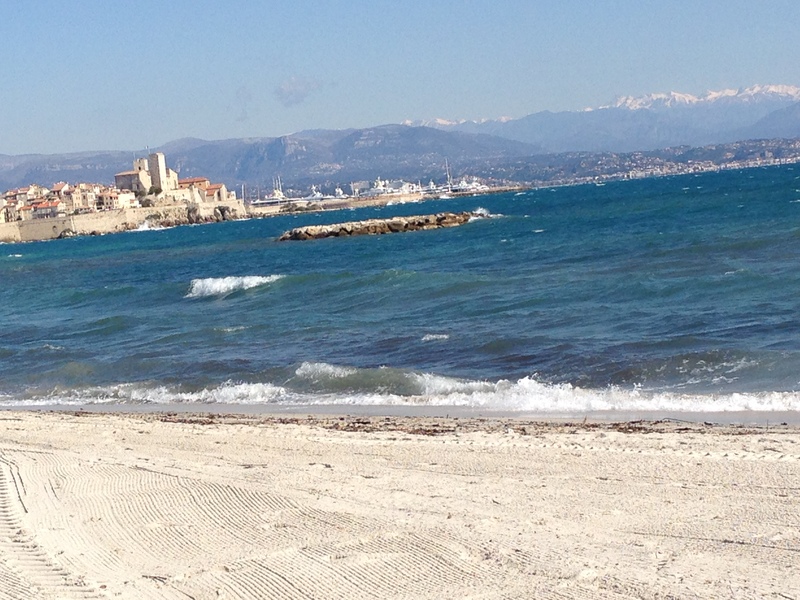 We spent a couple of hours late morning relaxing and then caught the bus in to Nice which was a lovely place to visit. 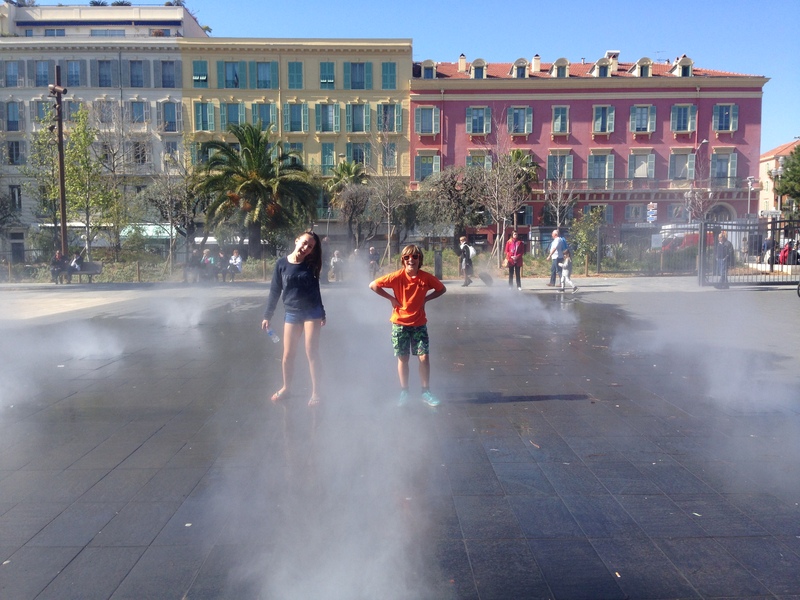 Especially, we liked the old town in Nice. 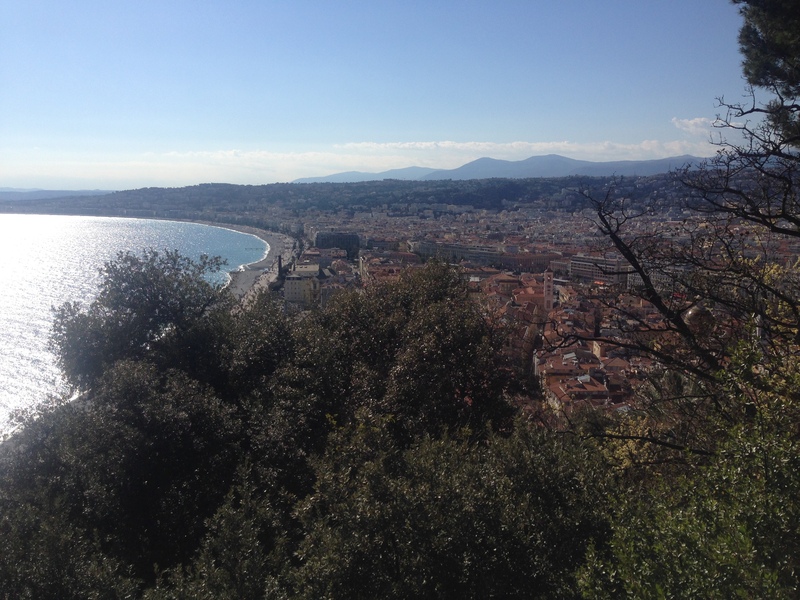 A lovely sunny afternoon spent in Nice. 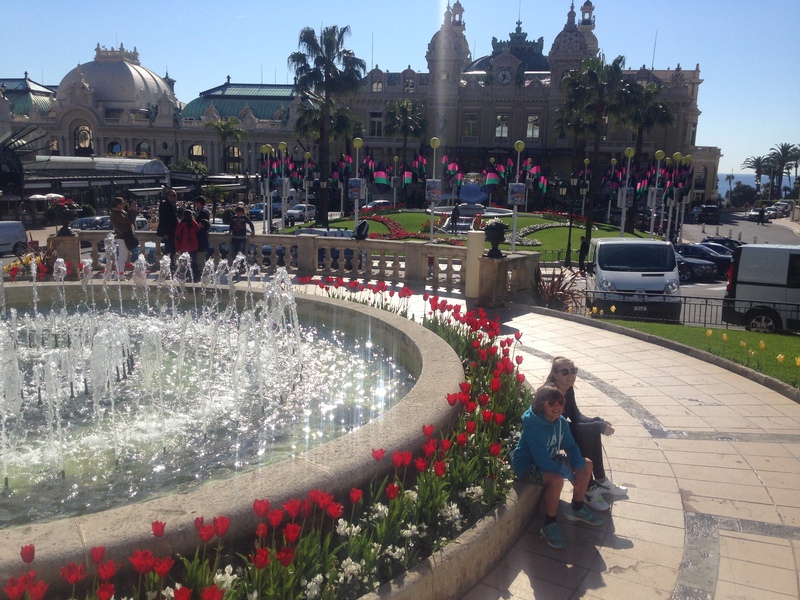 8th April 2015 – We are up early again, planning a train trip to Monaco. We hope to get back to our campsite in time for a swim. 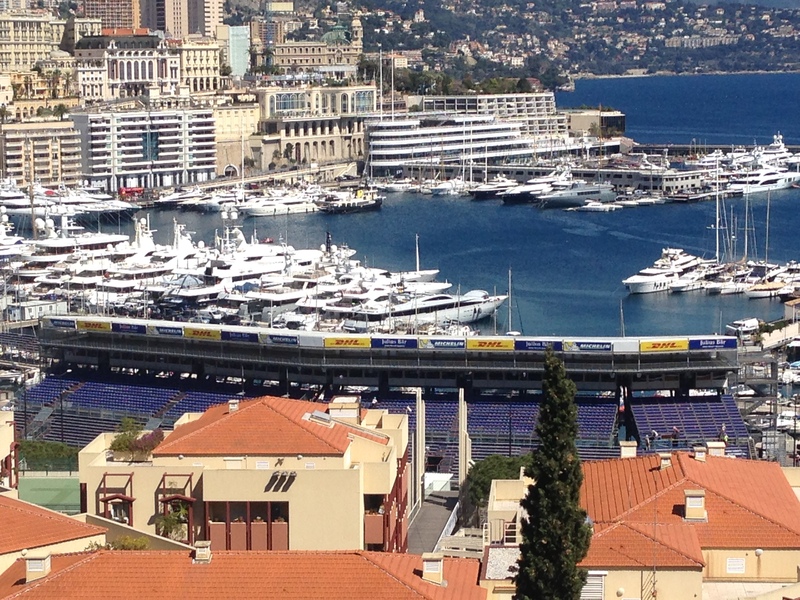 Monaco was very impressive. It exuded money. We had been before on a cruise but the children hadn’t been and were also amazed by the wealth to be seen there. 9th April – Time to start heading North. We have decided to travel up to one of our favourite sites near Paris called Les Quatre Vents. It is a very spacious site with an outdoor pool, huge pitches, a great children’s play area and also indoor table tennis. The owners are very friendly and remembered us even though it had been five years since we had last visited! We arrived to extremely warm temperatures and enjoyed a relaxing afternoon in the sun. The children were happy plating on the park and we had a BBQ and evening of table tennis. 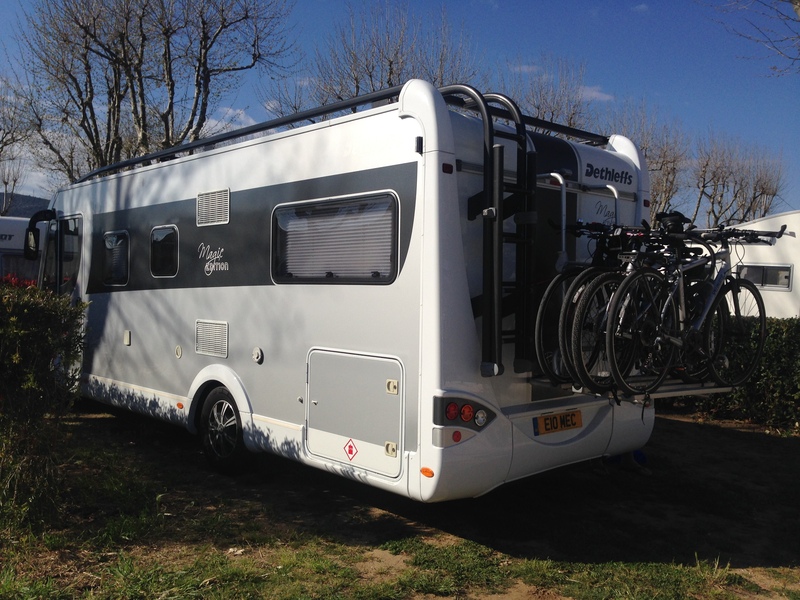 10th April – Finally, the last part of our journey in France was up to La Bien Assie. Another of our favourite sites near Calais. It’s a big site and perfect for a stopover the night before your Eurotunnel or ferry crossing. We arrived mid afternoon and much to our teenage daughter’s delight we treated her to wifi. Our son went for a swim with my husband in the indoor pool and I went for a run. We had food sat outside the restaurant during the evening and watched the children play table tennis. 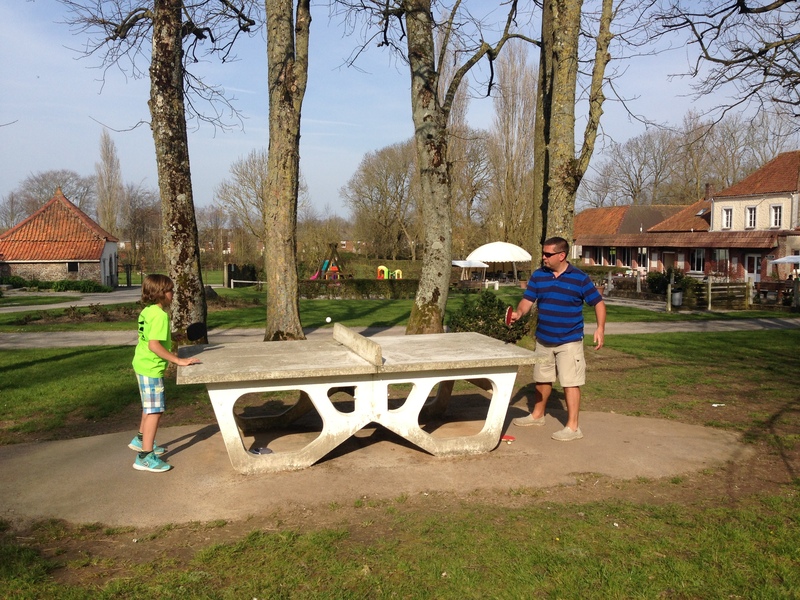 We also had a family table tennis tournament. The table tennis tournament begins and Chloe is enjoying her wifi time! 11th April – We are up bright and early and heading for the Eurotunnel. Another adventure has come to an end. We’ve had a great time in France and will probably head back to France again next Easter. It seems to be the perfect time to visit as it was uncrowded and the weather was fab! We’re sorry to be going home but I’m sure once the unpacking is done we will be almost definitely planning our next holiday!